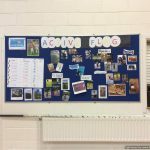 We have received our Active School Flag and are very proud of our status as an ‘active school’. 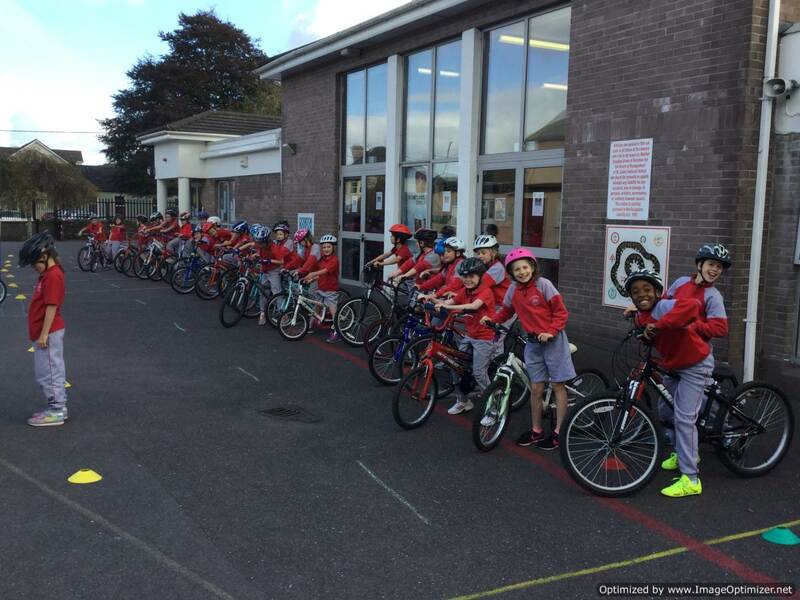 We worked on improving and maintaining a high level of physical activity in school. 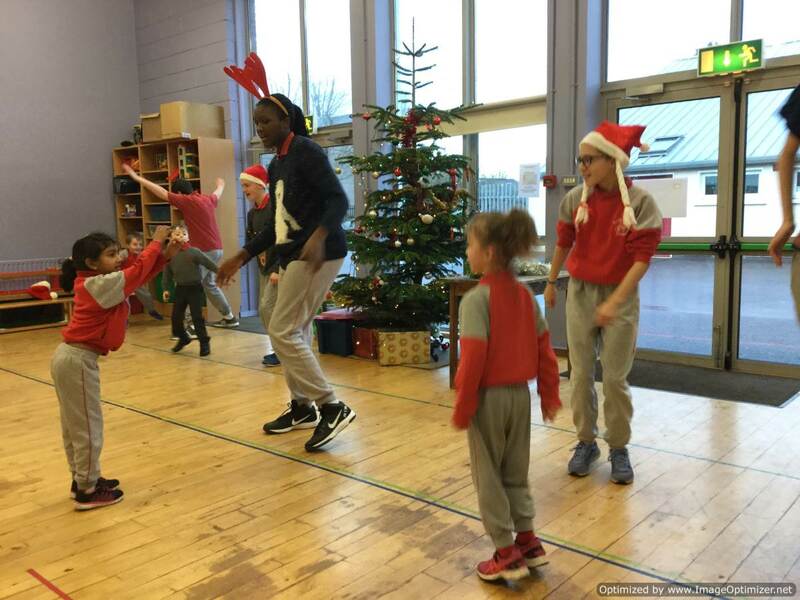 This entailed all aspects of physical activity, including provision of physical education as per curriculum guidelines, additional physical activity inside and outside the classroom, partnerships with the local community and the organisation of an Active School Week. Sept/Oct: We formed our Active Flag Committee, made a presentation at assembly to remind everyone to be active for 60 minutes every day. We taught our Active Song ‘ The St. Luke’s Can-Can to the whole school. The Parents’ Association organised a Halloween disco. Nov: We ran a photography competition with a large number of entries. We gave out prizes in various categories. These were presented by former Chelsea and England soccer star, Bobby Tambling. The committee gave a presentation at assembly to encourage ‘Do your talking as you’re walking. 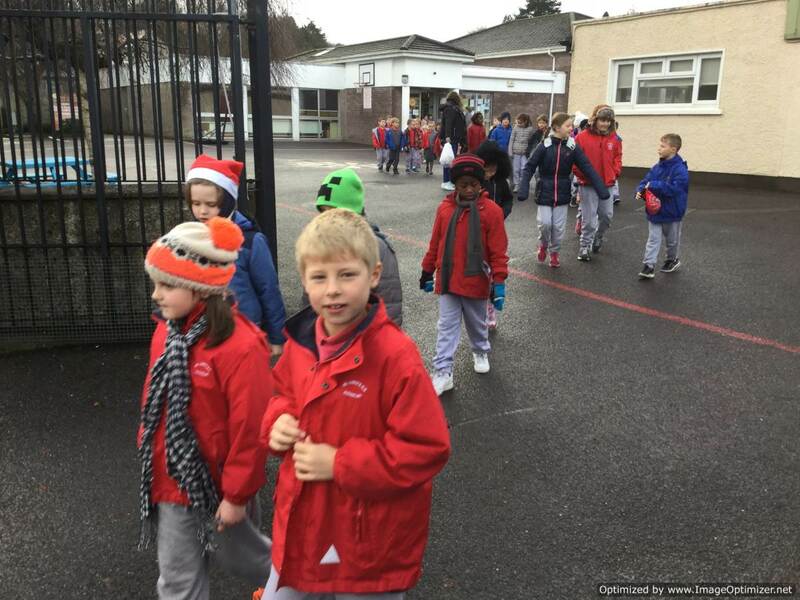 Dec: Our 6th class took the Junior Infants to the school hall for Christmas Dancing and the whole school walked to the cinema. Jan: The committee presented the slogan at assembly. As part of this initiative, we will be introducing some new activities, setting challenges and promoting the importance of physical activity for every person every day. 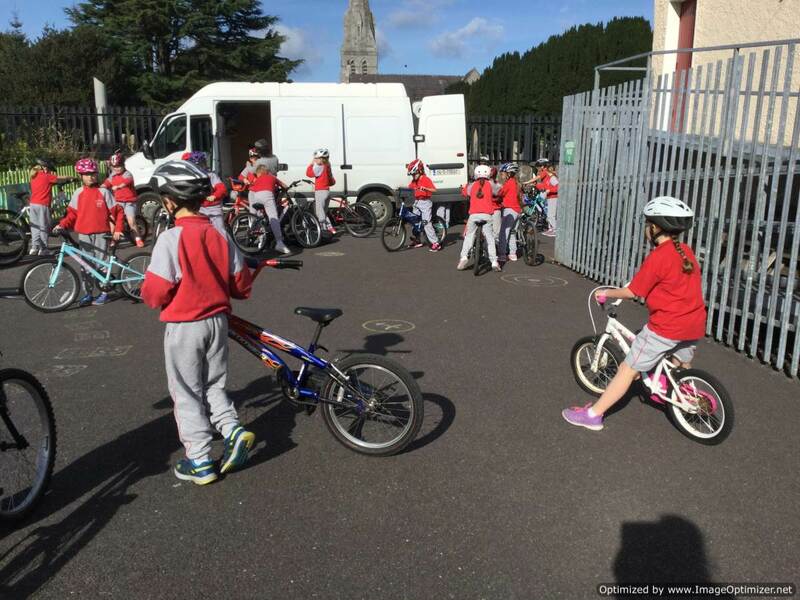 Our Community Links included a cycling course organised through Cork City Council Sports Partnership. We also enjoyed cricket coaching with Ted Williamson. 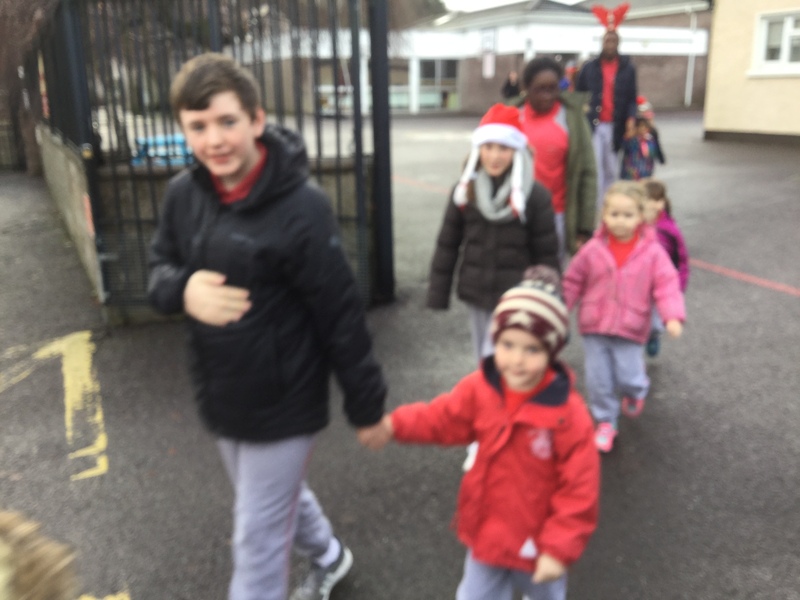 Our seasonal activities included Christmas dancing and a walk to Douglas Cinema to see the film ‘Trolls’. 10@10 – As part of the RTE programme Operation Transformation, we took part in a 10 minute activity at 10am on Friday February 10th. The Active Flag committee set up stations for each class and we all enjoyed this bonus time in the schoolyard! Have a look at the Gallery section of the app for more photos from the day. 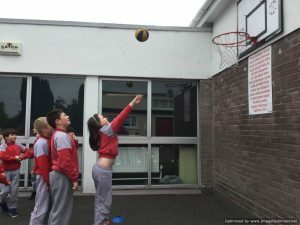 Before the Easter holidays all the classes in St.Lukes school did the Earn Your Easter Egg Challenge .The Earn your Easter Egg Challenge was a way for the pupils of St.Lukes school to get active. Each class was assigned to two stations and each activity was 10 minutes long, also, all the classes successfully completed each challenge without anybody taking a break. Report by Samuel Johnson, Jack Kingston and Eoin Gallagher. Before Easter, everybody in our school took part in a daring running challenge. Every class was set an amount of laps of our school to complete, without stopping. Everybody stared at their target in disbelief, which quickly turned into confidence, and that certainly helped everyone along the way. 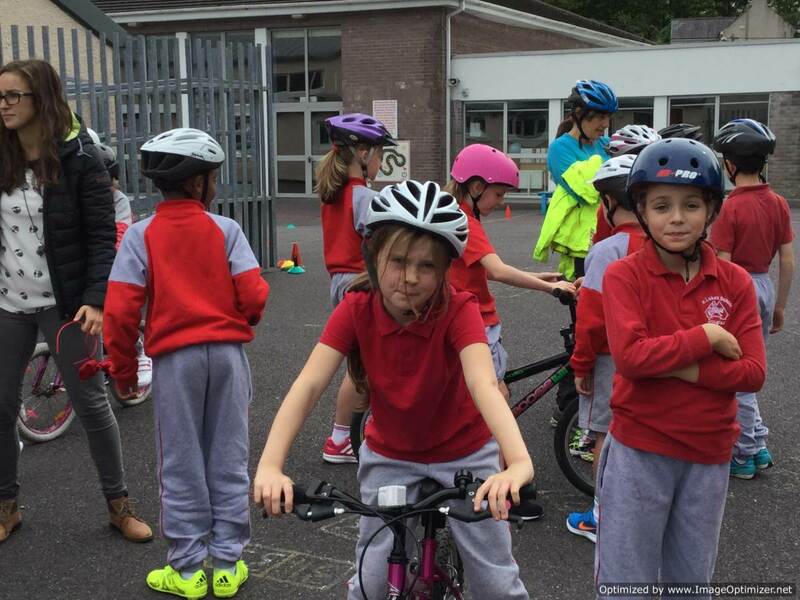 Rang 5 and Rang 6 were set a tiring but stimulating 6 laps-a whole kilometre- Rang 3 and Rang 4 were set a new and challenging 5 laps, while Rang 1 and Rang 2 were set 3 laps, and Junior Infants and Senior Infants had 2 lap to complete. Could they do it? Hardly! 1 whole kilometre! No! But you do not doubt the students in St. Luke’s School! Every child was determined to finish and they never gave up. Rang 6 and Rang 5 hardly drew an extra breath to run their kilometre, Rang 3 and Rang 4 were looking for more, Rang 1 and Rang 2 couldn’t get enough, and some people from Junior Infants and Senior Infants ran 3 whole laps! Half a kilometre at the ages of 4, 5 and 6!So, we are happy to say that every class demolished their set amount of laps easily and everybody is eager for more. We are really looking forward to future running challenges! 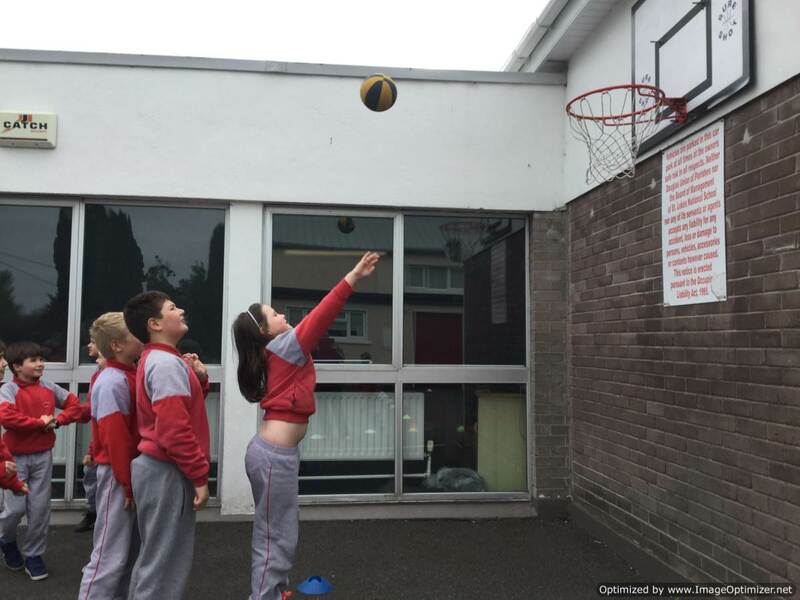 The May Marathon Running Challenge is a challenge done by 1st class to 6th class where over the course of three weeks, in a class, groups of five or more pupils have to complete a marathon between them. That is around 250 laps of the red line going around our school. Each class will go outside when the yard is free for a limited time each day to run as many laps as possible. You complete it by working together, not cheating, by pushing ourselves to the limit, keeping the sheets for the marathon updated and always being positive and hard-working. You get rewards for this as well. For the challenge we need a table, lollipop sticks, 5 plastic bowls, sheets and a class ready to run. First the pupils take a few lollipop sticks each to count how many laps you do. We do it to show how sporty and how athletic our school is and that our school truly deserves the active flag. Our Active School Committee took a survey from third to sixth class to see how many clubs we are in. It turns out that we are involved in a whopping TWENTY EIGHT different clubs around Cork, ranging from athletics to gymnastics to pitch and putt to squash! We found the most popular sport in St. Luke’s was hockey, with THIRTY EIGHT pupils playing it. The variety of sports we do in this school varies dramatically. That shows how sporty, active and athletic St. Luke’s really is. It also shows how lucky we are to live in a thriving active community that really does have something for everyone! Check out the school app for continued regular updates on our activities!